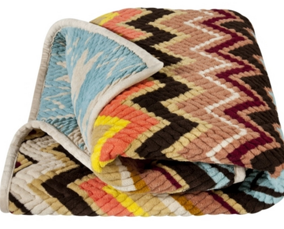 Missoni for TARGET is without a doubt the biggest trending topic to hit our FASHION blog world. 2011, has given way to much fashion news, but no news could possibly top the trifecta of the Affordable chic moment we are seeing at some of the most notable fashion houses. Early this summer Donatella Versace announced the Iconic Collection for select H&M stores. Taking the most “iconic” looks of the House and making them affordably chic, it will clearly cause a Versace Craze world-wide. Dallas being among some of the newest H&M locations, has already caused the cheap chic movement in our Metro, even a few notable D-City housewives have been spotted at the Northpark Location. H&M clearly has the respect of shoppers, and fashionistas around the world, and for us Dallasonians , well we are even more excited that H&M Northpark Center, was selected to carry “iconic” by Versace. However, The affordable chic Sun is not shining on everyone. Karl Lagerfeld, as well launched a collection for Macy’s. Iconic in his own right, Karl is made of rare fashion ideology in our world, its hard to wonder why rumors of disappointing sales are starting. Even DFW fashion queens and gurus, are left wondering, as Abby Gregory, contributor for DFW Style Daily ,so fashionably states on the aesthetic of the collection, which to me is good reasoning behind the flop. What began as a sure win for our master of fashion, ended with Macy’s scratching their heads about Karl. To be honest, I didn’t even see this coming, praised by Vogue readers, and shunned by Macy’s shoppers, ironic isn’t it? The cheap chic Trifecta , has one more installment, this collaboration as anticipated as it has been, is making more than most in the fashion world a tad nervous, after all the store isn’t as notable as Macy’s and H&M, and the Family owned business that has decided to get a slice of the cheap cash cake, has sent chills through our fashion bones, clearly this game is very risky. Missoni by far is at the top of pyramid of high-end houses at low-prices. The brand, is said to be the biggest collaboration Target has had. The collection spans 400 items, a women’s line, men’s, children, and The home interior collection im sure will make my obsession list come September 13th. 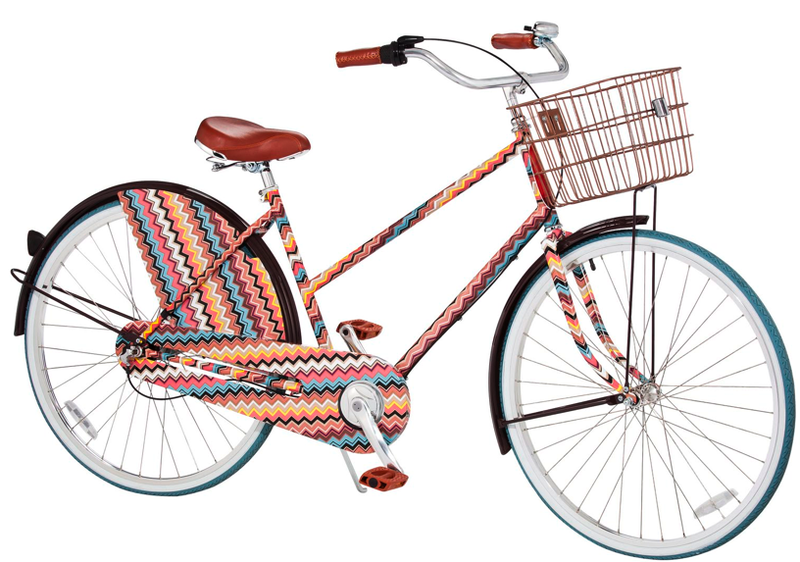 Missoni really is hitting the target when it comes to designing for the masses. 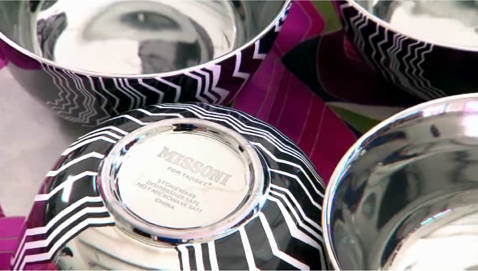 Seemingly, missoni understands the “TARGET” market, and super center world that America has become. TARGET has had some other notables, but none have had the buzz, and exposure that this launch is having. Who knew TARGET would be at the top of many fashionable shopping agendas. Margherita Missoni, daughter of Creative Director Angela Missoni, gracing the ad campaigns for the TARGET collection, along with founder and Grandfather Ottavio Missoni ,only adds to the anticipation of the launch. The tricky part of this game is that, fashion as fab as it may be, it really is based on notoriety, and a simple flop like Karl’s Macy’s Mishap may cause a crack in the foundation of a great Fashion House. Missoni seems to be very hyped up about the launch, Margherita Missoni, the 3rd generation to the family baring the name, is passing along the blessing to use that name on a price tag that may in fact be the lowest the brand has ever had, but don’t let that fool you into thinking the Missoni Mission at Target will flop, the DNA of the brand is all over this collaboration, just take a look at the MISSONI for TARGET commercial, and you will see that Missoni is hitting the TARGET, by being true to cheap chic, and respectful of the Missoni persona. With that said, The movement we are seeing in fashion is a great movement, whether the collections are fab or flops, it clearly opens a new door for a wider range of costumers, to wear the brands that we, in the fashion world, see as legendary. Wether Versace at H&M, Largefeld at MACY’S, or Missoni at TARGET, what this trending Trifecta is proving, is that maybe just maybe ,CHEAP, is no longer in the vocabulary of fashion. The masses are noticing that fashion is not defined by “How much you spend”really its defined by “Who you are wearing, the quality of the Brand Name”, maybe Karl Lagerfeld’s watered down line flopped due to his underestimated fashion sense of cheap chic costumers, while Missoni is showing everything the House has been known for, and that’s a sure bulls eye for Missoni at TARGET. This entry was posted in | and tagged cheap Chic, DALLAS, fashion, H&M, Missoni, Target, Versace. Bookmark the permalink.